If your commercial audio or video equipment is in need of service or upgrade, we can help. Often just a little TLC is all it takes to get you up and running again. Call or email us for an appointment or estimate. If you have one of our portable systems with a few miles on it, we can make it like new again. 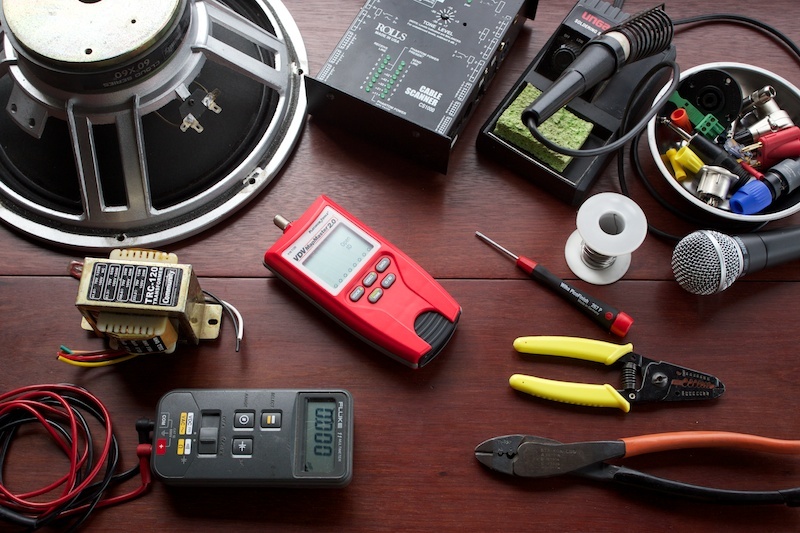 We can repair or replace any part of the cabinet, loudspeakers, electronics, stands, and cables. We can also update the system to work with the latest audio and video iDevices. A complete rehabilitation will be a fraction of the cost of a new system. Our telephone numbers are listed above. Our office hours are 8:00 a.m. to 5:00 p.m. Monday through Friday, except holidays.